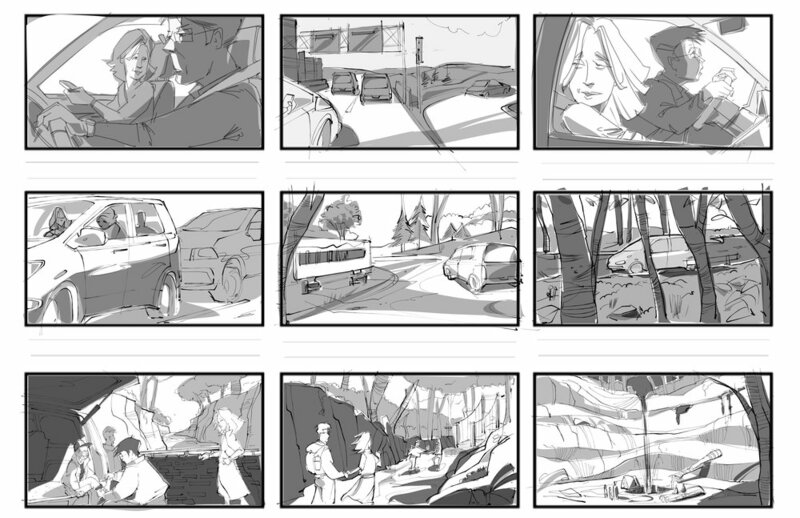 A quick storyboard for a trip to the park. -she asks if he would like directions...he misses exit ...but all ends well with shots of the park. This references a park in Ohio called Hocking Hills..